Aikatsu! The Movie Status | Mezashite! I was wondering what was happening with it. Don’t do this to my heart! Wait, I am confused. Is this an announcement that you are working on it, or an announcement that you aren’t….? When 愛 will reach 100% the work should start. Is it standard procedure to time before you translate? Well, if the timer is free and wants to do it right away, it can be done. You just use placeholder lines in the script and c/p the real lines in later. Tears… emotional response to the story… or to the subbing process? Take it easy. Must of the fans (I can say) will be patient, do I am. Keep going guys, I know you can do it! oh gosh oh gosh, i’m getting excited. You can do it! I think that really would be “Subkatsu! Subkatsu! Subkatsu!…”. Oh gosh you’re so close and I am so hyped. few more days and it’s done! Let’s Aikatsu! while waiting! wow so fast. anyway, when did the movie happen again? i remember its between episode 110+ or something? After the Heavensward hype comes this… so close. So damn close. Maybe 😛 was the wrong emoji, looking for dismay. Gosh, ya’ll are soooo close! I bet this is going to be super swell quality as always. I can’t promise that I won’t cry real tears while I watch this and I can’t say enough how happy I am that you’ve continued to sub this show all this time. 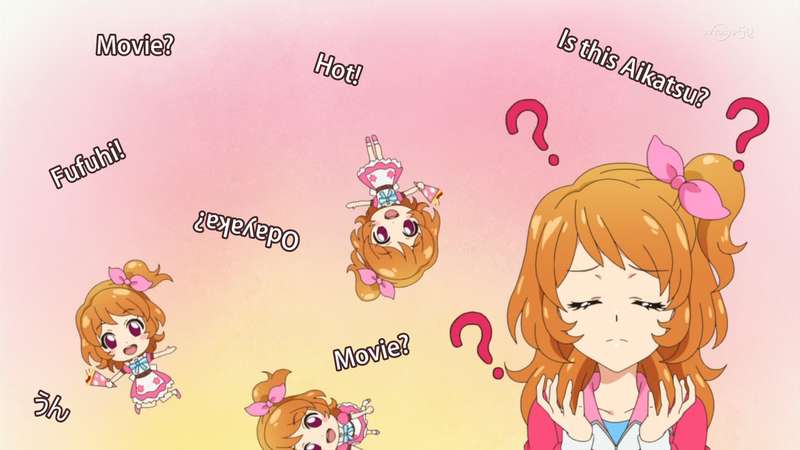 I can honestly say that Aikatsu plays a BIG part in keeping me sane and waiting for your releases every week and watching them is one of the most important parts of my routine. It may seem a silly thing, but this show and your work is one of the things keeping me grounded and alive right now. Amidst a sea of autism and depression I can count on you guys supplying me my weekly dose of cute girls doing their best to improve themselves and make themselves, their friends, and their fans happy and IDK man you’re an invaluable part of my life and will continue to be so long as this show is running. Keep on with your subkatsu and know your work is SUPER DUPER appreciated. Depends, there’s a whole lot of “calm” to get caught up on. Hopefully this isn’t like the standard Windows progress bar where the first 99.9% takes 5 minutes and the last .1% takes 6 hours. Its almost donnnneeee!!! Gonna get my red carpet ready XD! Omg its doneeee!! When is it gonna release? ?